UNDER CONSTRUCTION... WOW new construction available in the nature themed Legacy of Leesburg by one of the areas leading builders in retirement communities. This Calla II builder Spec has many upgrades and standard features that make it a very desirable proposition for this community! R38 insulation in the attic space, radiant barrier, tailored foam insulation in the block, double pane windows with Low E reflective coating all help with the energy efficiency of this home and it's all standard. 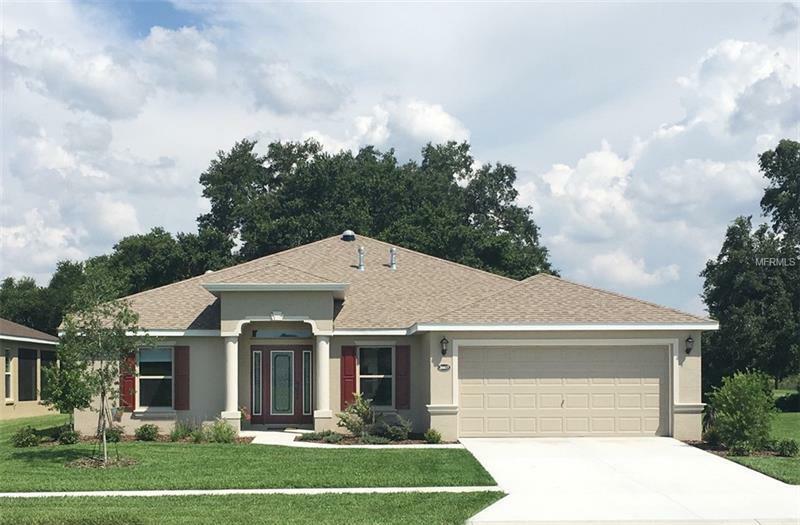 Upgraded flooring, upgraded kitchen & bathroom cabinets, 36" upper kitchen cabinets, quartz kitchen & bathroom counters, stainless steel appliances, oversized garage and more. A desirable corner location backing up to one of Legacy's many walking trails in a very quiet area of the neighborhood. The home is scheduled to be complete in early 2019. Legacy is a gated, nature themed community with over 4 -5 miles of walking trails and close to 100 clubs and activities.